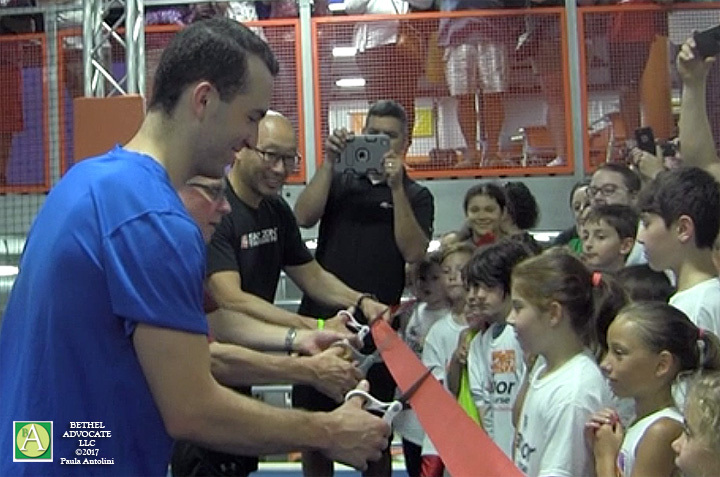 Excitement was in the air as a large crowd gathered on July 15, 2017, for the ribbon-cutting ceremony celebrating the opening of the newly-built “Warrior Course” at Sky Zone Bethel, the only course of its kind in our area, located in the Clarke Business Park at 13 Francis J. Clarke Circle, Bethel, CT. 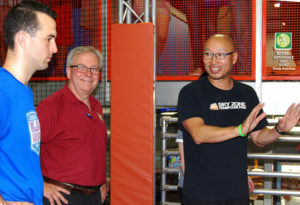 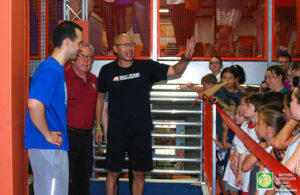 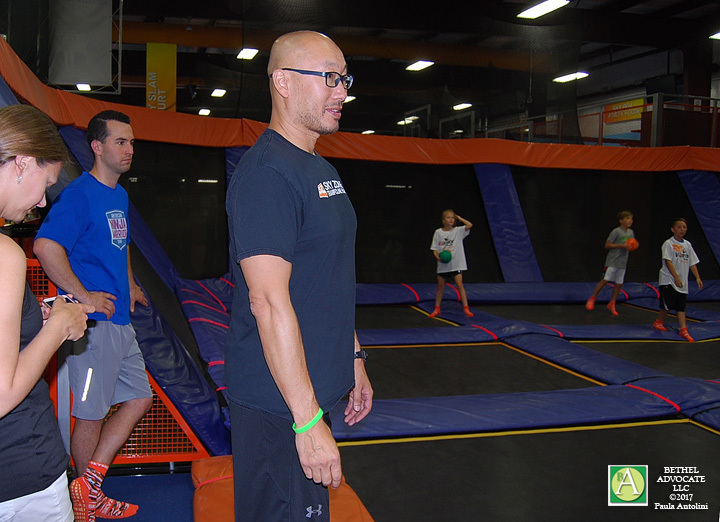 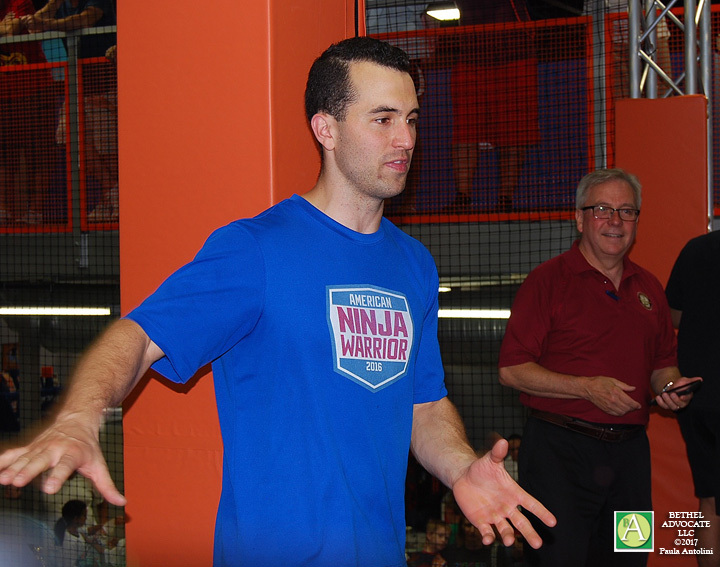 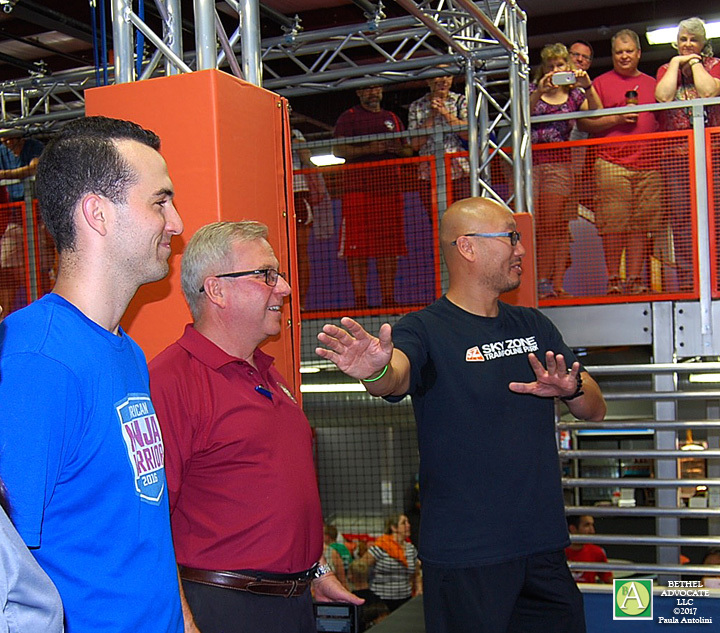 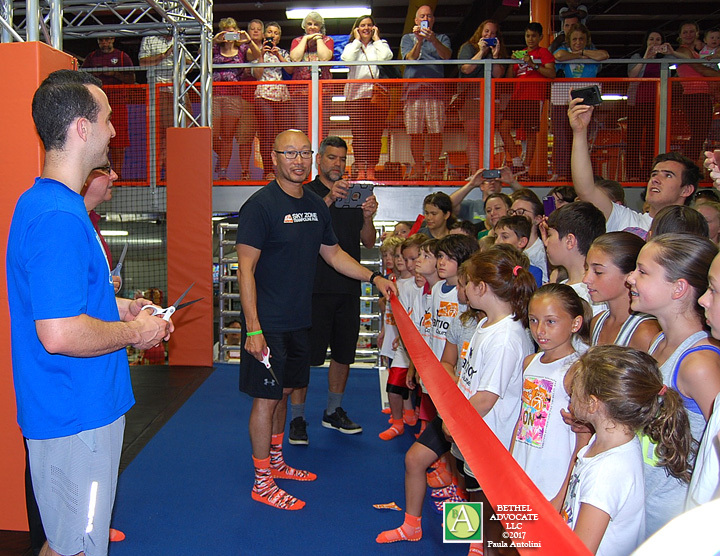 Famous and beloved special guest, American Ninja Warrior Joe “Warrior Weatherman” Moravsky, made an appearance at the ribbon-cutting ceremony to celebrate the new Warrior Course, along with Sky Zone owner Edward Kim. 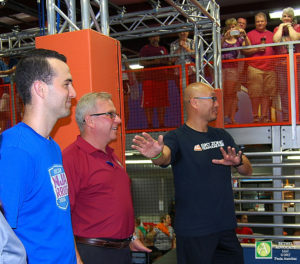 First Selectman Matthew Knickerbocker was also part of the ceremony. 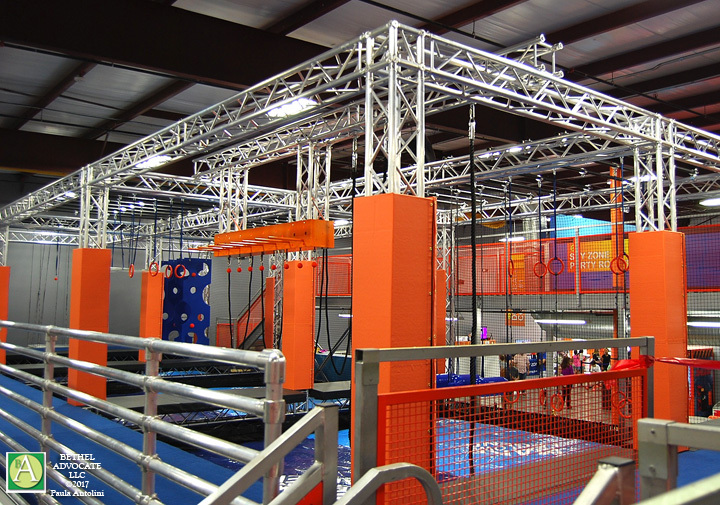 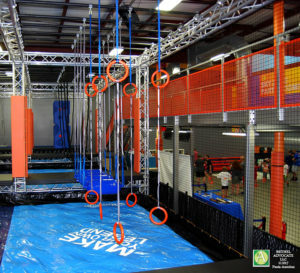 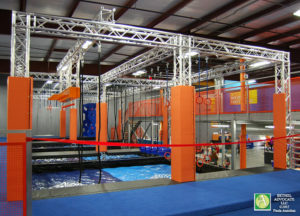 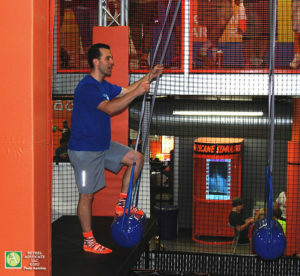 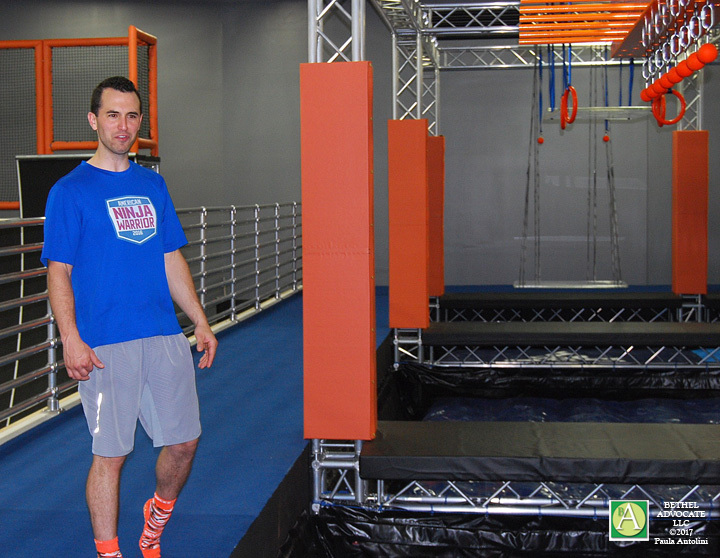 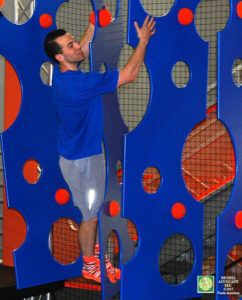 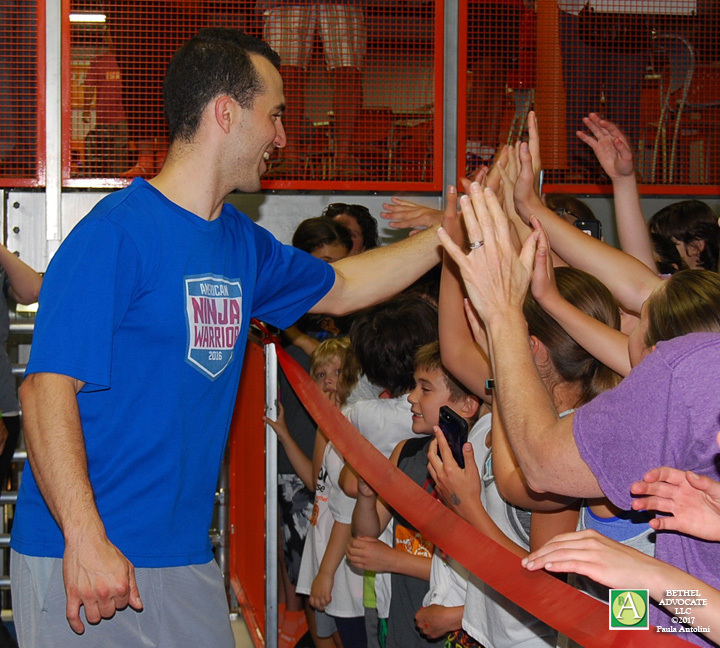 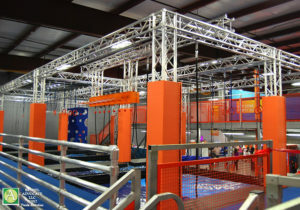 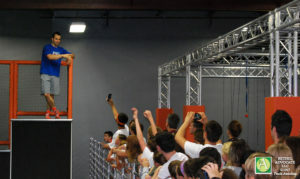 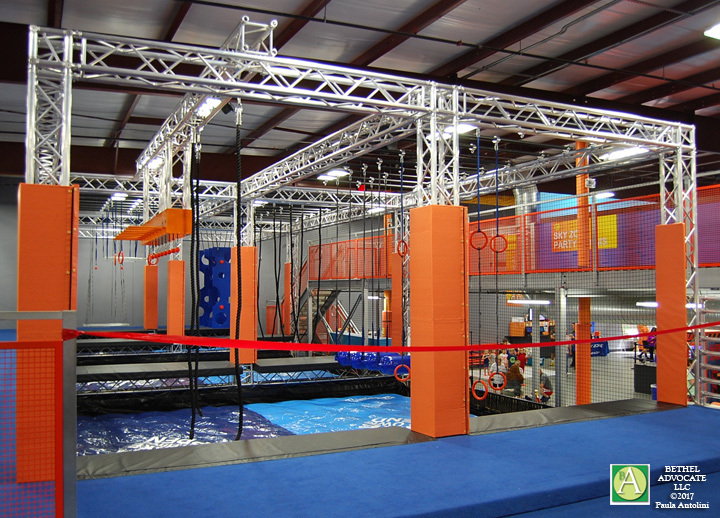 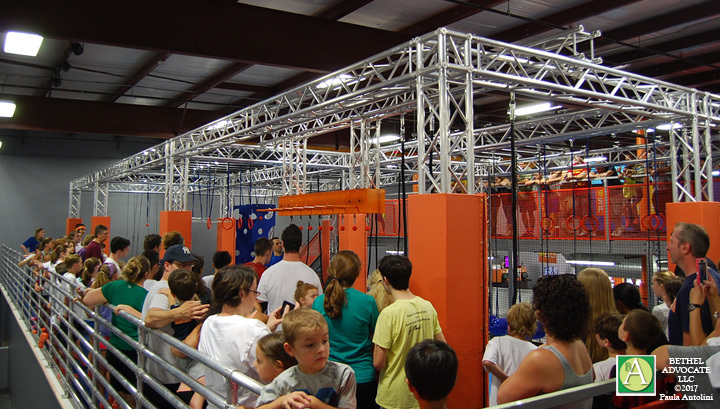 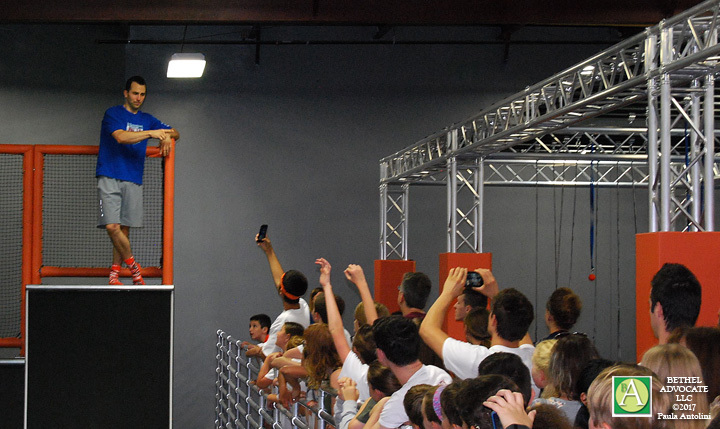 Moravsky was at Sky Zone from 11:00 a.m. to 2:00 p.m. this past Saturday. 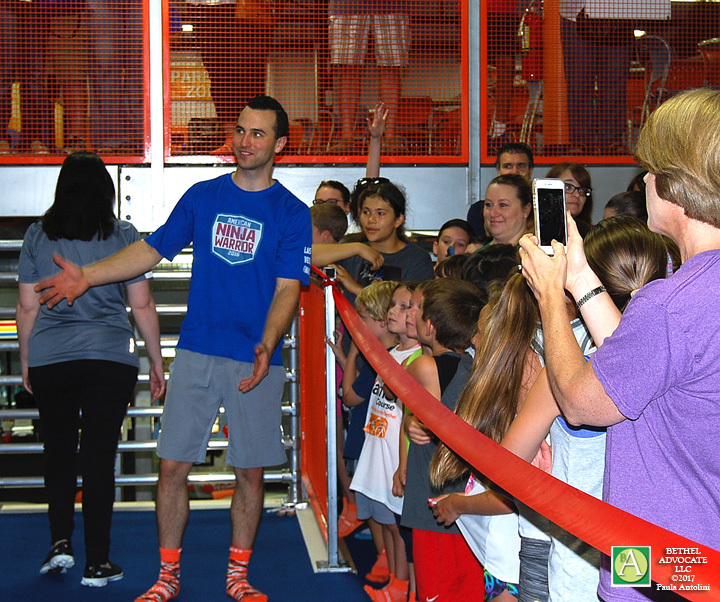 After the ribbon-cutting ceremony he demonstrated each section of the new Warrior Course equipment, giving specific instructions and tips on how to travel through the course best. 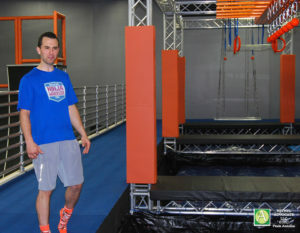 (View videos below and also at bottom of page.) 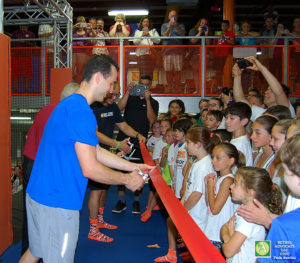 He signed autographs for the children who were there to see him and try out the new equipment. Earlier he mingled with children on trampolines, doing high flips in the air. He also joined in on a game of Dodge Ball. 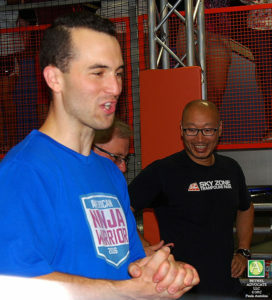 American Ninja Warrior Joe ‘The Weatherman’ Moravsky, is a 28 year old Meteorologist at News 12 Connecticut who grew up in the small town of Sherman, CT. 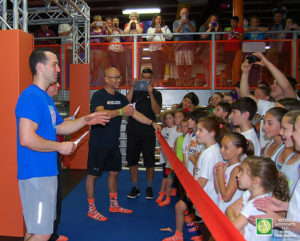 Besides being a weatherman, he currently owns The Weather Warrior, LLC and teaches gymnastics and parkour part-time at a gym in Newtown called Vasi’s International Gymnastics. The Warrior Course features two lanes with different levels of difficulty for warriors of various ages and skill sets. 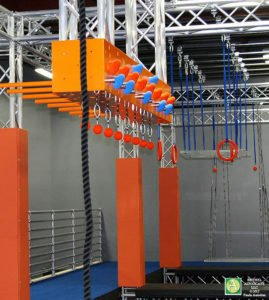 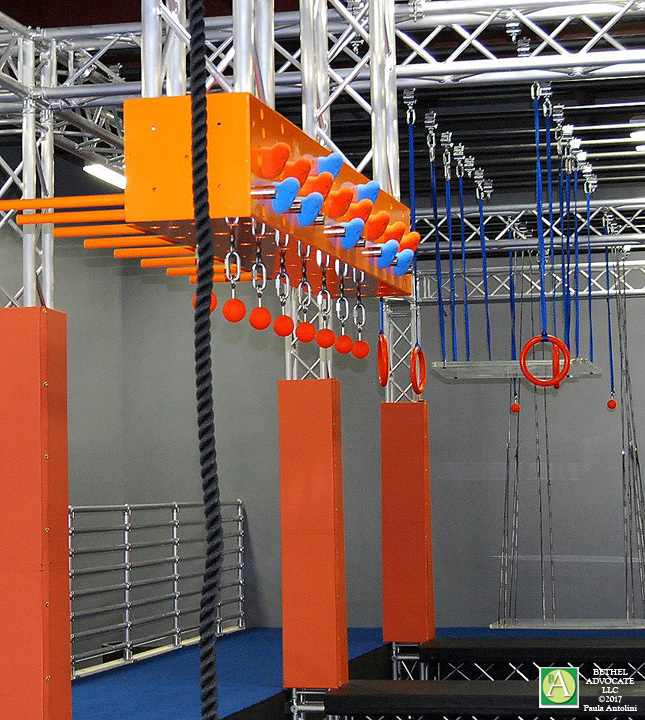 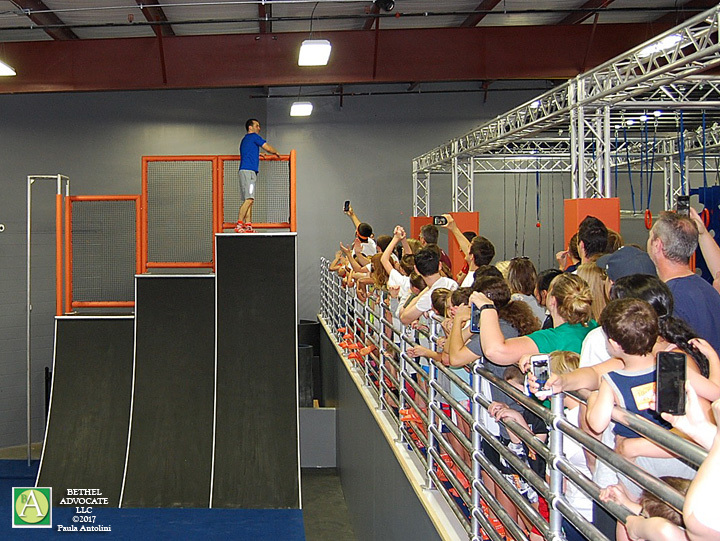 Warrior Course obstacles include warped walls, cheese boards, tarzan ropes, monkey box and more. Warrior Course is included in purchase of any open jump ticket. 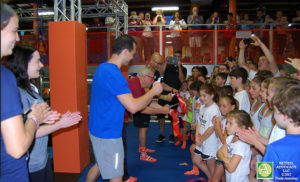 Scroll to bottom of page for more VIDEOS.